Butter both sides of bagel with salted butter. Sprinkle with your favorite seasonings. Our favorite is “the everything bagel”! Our favorite toppings include: sesame seeds, poppy seeds, dry minced onion and dry minced garlic! Toast in oven face down at 375-400 until golden brown. Take your toasted bagel and smother your favorite flavored cream cheese on the bottom of the bagel. We used a homemade bacon scallion! Place the sharp cheddar spreadable cheese on top of the cream cheese. Place the crispy hash browns on top of the cheese mixture. Place shredded cheddar cheese on top of the hash browns. Place this in microwave until cheese is melted. Top with crispy bacon slices and a sunny side up egg! 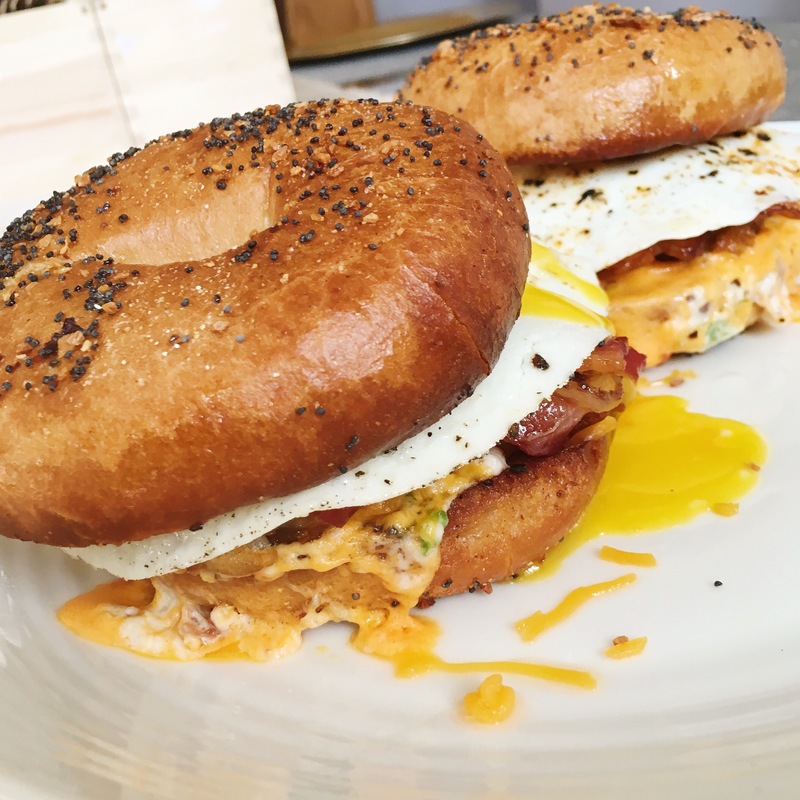 Place the top of bagel on top of the egg and eat! We apologize for not putting exact measurements on this post! We will get you a more exact bacon scallion cream cheese recipe soon! Have a wonderful weekend!